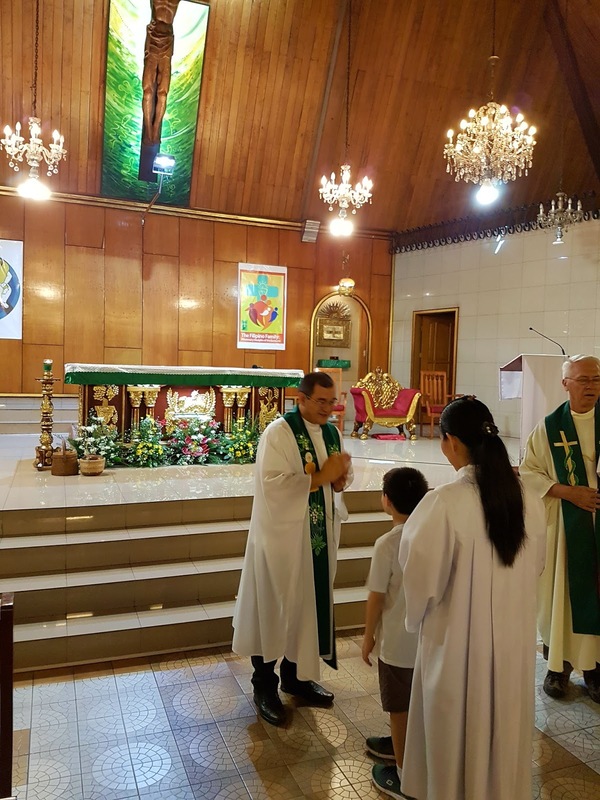 Last Friday, August 26, a newly ordained priest was back in SLRP. This time he was the main celebrant at the 6:30PM mass, his first mass in the parish where he served as a deacon few months back. The mass was a fitting occasion as it coincided with the monthly Adoration for Vocation where the religious community in the parish offered prayers for the growth of vocations. Flash back to about a year ago. A deacon from the congregation of the Priests of the Sacred Heart, began serving in our parish. He would normally accompany a Dehonian priest who presided the anticipated Saturday evening mass at the parish. He had a jolly demeanor, was always smiling and energetic, full of life and excitement as he seriously went about his priestly duties. He read the gospel and on some occasions delivered the homily. He served as a deacon for about six months. Towards the end of April this year, he bade farewell to the parish as he had to fly back to his native Brazil for his priestly ordination. 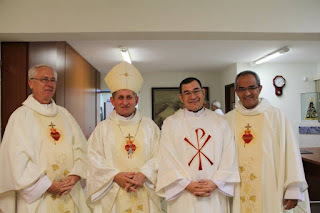 His ordination was scheduled for June 3, 2016, the feast of the Sacred Heart in his home parish of Paroquia Nossa Senhora de Lourdes (Parish of Our Lady of Lourdes) in Sao Jose dos Campos in Sao Paulo, Brazil. Reverend Father Sergio Shoiti Matumoto is back in the Philippines. And it looks like here he will stay for a while. He mentioned that come October this year he will be assigned to the new parish under the supervision of the Priests of the Sacred Heart in Tanay, Rizal. Welcome home Father Sergio. Our prayers go with you on your new assignment.